I've got flowers on the brain at the moment! so pretty! is it still lomography 100? great results, fantastic even! Beautiful colours and soft focus! é terrível quando os gatos empacam com as plantas! 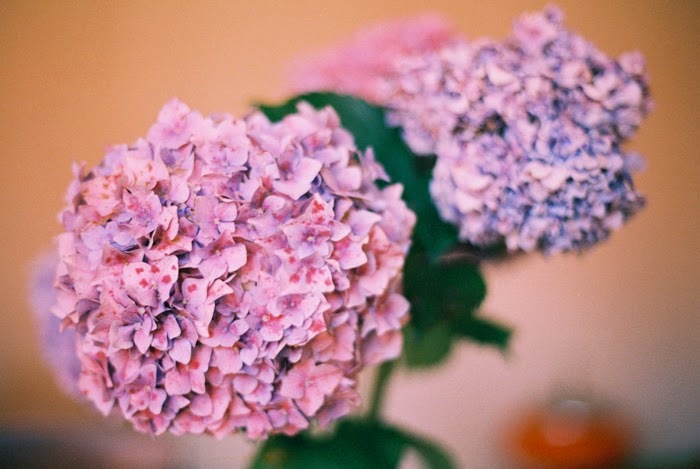 love these - hydrangeas and their poofiness are what i love about them. This color of hydrangea is brilliant! Mine always blooms pink. 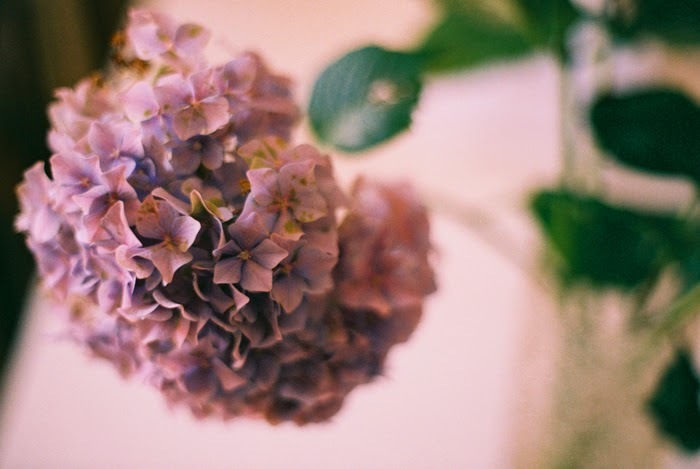 Love hydrangeas! love the little red spots in the pink-ish one. Prettiest focus and texture.